I am honored that Judy @Quilt Paradigm nominated me for the Lovely Blog Award. If you are nominated and accept the nomination, you write a post acknowledging who nominated you, you include 7 things that your readers might not know about you, and then you nominate 10 other bloggers for the award. I didn’t look into whether these ladies have been nominated before or not (although I did pay attention to who Judy nominated and did not double nominate from her list!). I am nominating these blogs because I find them to be awesome individuals and quilters. I enjoy the quilts that they make, AND the community that they represent. 1. 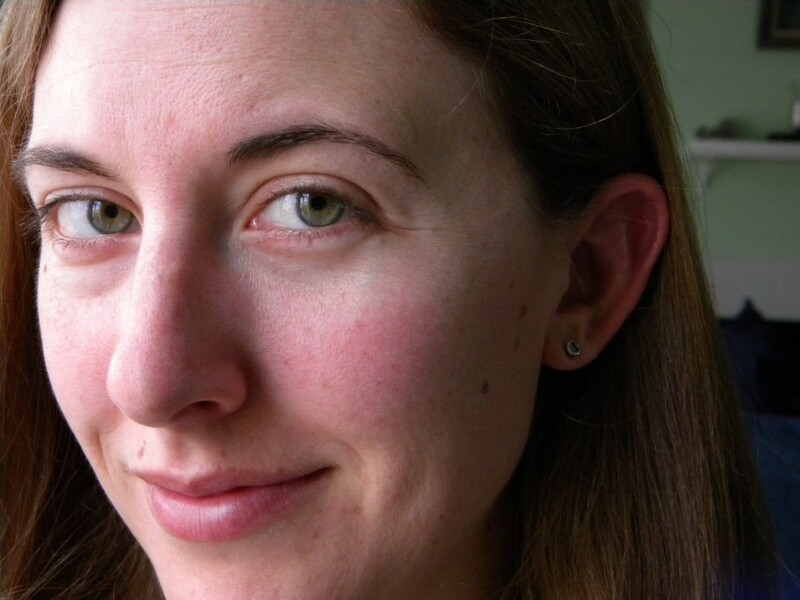 I have hazel eyes: my irises have a blue outer rim, green in the middle, and golden brown near my pupil. When I cry, my eyes turn a bright, almost electric, green. 2. I learned to east coast swing in college with a fun group of friends, and I love to swing dance. 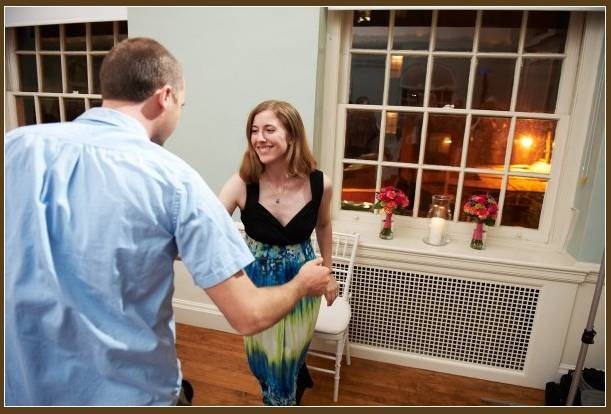 My husband also learned in college and we will occasionally get up the nerve to swing dance together at parties or friend’s weddings. 3. I was a stubborn baby. I was born several weeks late. In the photo above, my mom is smiling because she knows that whatever happens, she was going to be induced the next day. Given the eminent domain notice, I finally allowed nature to take its course, though (conveniently in the middle of the night, of course). 4. This past weekend I had my camera on the beach and was asked by strangers to capture a proposal. I was happy to agree, and I think I was able to get a couple of really great photos of the engagement. Mostly, I was happy that she said, “yes!” and that the ring did not get lost in the surf! 5. My husband and I made each other’s engagement rings. Michael investment cast my gold band, carefully picked out my diamond (going so far as to send the first diamond he thought might work back), and set it! I turned his titanium ring on his lathe (photo above). We also encourage all our friends to make each other’s wedding bands, and the same chunk of titanium bar stock that was used to make my husband’s ring is used in 3 other friend’s wedding rings. There is no better feeling than sharing love. 6. I enjoy writing silly haikus to share with friends. Especially when I can look like a guilty squirrel. Your eyes change color when you cry? That is so cool! I’m thinking happy tears here 😉 And you made your own wedding rings? Awesome! I could comment on all 7 of your things I might not know, I’ll spare you LOL Such a fun post! Great photos! Love that you made each others rings and are still sharing the bar stock! Love that test flight photo too! Great post, Did the couple get a picture? So sweet! Thanks for sharing. It’s great to get to know everyone. oh man #2 is so exactly us too! I used to go every Tuesday night, but haven’t gone in 6 years…I’ve been thinking of going again. Awesome proposal photo! yeah, glad it didn’t get lost in the surf, haha. You are so diverse!! I love that! Especially the plane!! You helped design it? Total awe from here in CO!!! All such interesting snippets, but the rings have to be my favourite. And you’re so like your Mum. PS I write silly haikus too. Fun facts! I really like the wedding ring fact, so cool. Thanks for sharing! Making your own wedding rings is such a great idea. My mum used to be a jeweller, and yet I never thought of that! I’m not sure which factoid I love the most but it was probably the squirrel face candy thief! 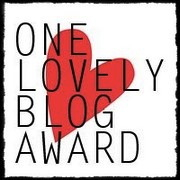 Cursing the fact that we have the same bloggy friends but I’ll have to brainstorm some folks to nominate and pass on this lovely award and the kindness. Also were we FB friends when I shared a haiku about how much I love grilled cheese? It was pretty epic. That’s a lot of interesting information. Everything was new to me! Such great little tidbits! Thanks so much for the nomination! I love that you made your own wedding bands! What a wonderful expression of your love for each other. Fun facts and great pics! Great facts! I love learning more about people this way. Great post, Yvonne! So many interesting little tidbits, but I think my favourite has to be that you made each other’s wedding rings. That’s so cool that you made each others engagement bands, and you can swing dance. So jealous over here on your sweet moves!